Original Soundtrack is the debut album by English dance music act S'Express, released in 1989. It was predominantly written and produced by Mark Moore along with Mark McGuire. Pascal Gabriel co-produced the album's two biggest hits, "Theme from S'Express" and "Superfly Guy". The album charted well in the UK, reaching number five on the UK Albums Chart, and was also received well on the US dance chart. The album was certified gold in the UK by the British Phonographic Industry. Art deco artist Tamara de Lempicka and her 1927 painting "Andromeda" is the influence for the artwork to the album. She is depicted on the cover with black hair and a black dress. Mark Moore - Keyboards & drum patterns & noise & electric doormat & analogue organ rotorvator. Michellé - Vox & B-vox & orgasmatron. Chilo - Sampled vox & guitar & sampled guitar chords & percussion. Linda Love - Keyboards & Baby Baby Grand & Great Semprini. Mark McGuire - Drum patterns & programming. Brendan Charles Beal - Keyboards & flute & sax & tremolo modulation & analogue organ rotorvator. Billie Ray Martin - Vox & B-vox. Eric Robinson - Vox & B-vox. 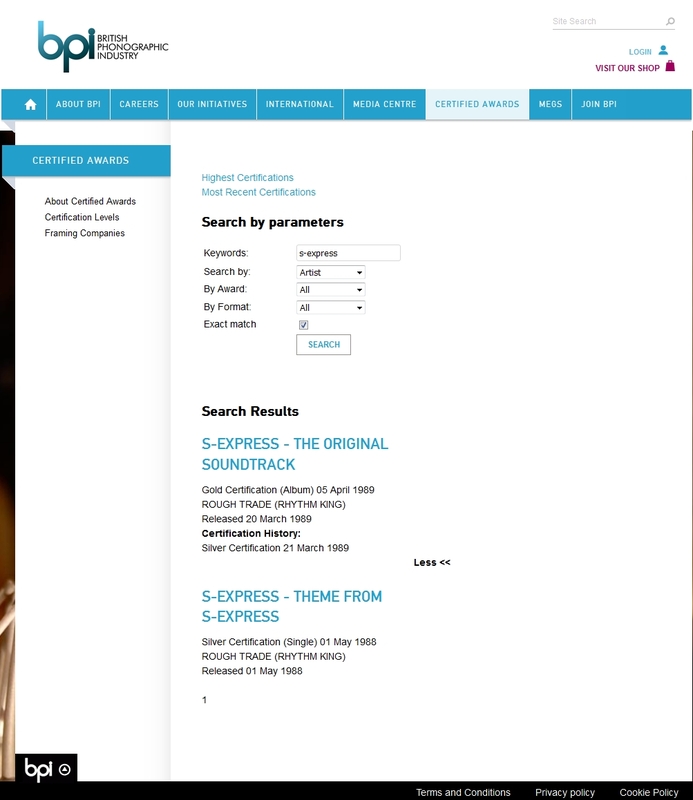 ^ a b "BPI > Certified Awards > Search results for 'S-Express' (from bpi.co.uk)". Imgur.com (original source published by British Phonographic Industry). Retrieved 2016-09-28. ^ a b "Official Charts > S-Express". The Official UK Charts Company. Retrieved 2016-09-28. ^ "Response from ARIA re: chart inquiry, received 13 September 2016". Imgur.com. Retrieved 2016-09-28. This page was last edited on 1 November 2018, at 04:20 (UTC).